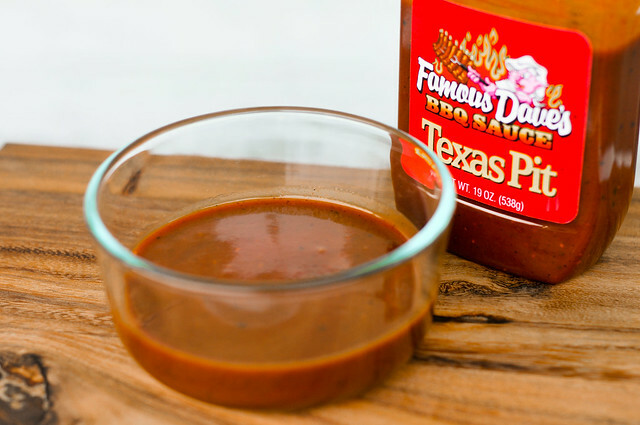 This sauce is born from the Famous Dave's empire, a series of over 175 restaurants spanning 37 states. Started as the brainchild of Dave Anderson, the first restaurant opened in October of 1994 in Hayward, Wisconsin in an effort to bring income into the struggling Lac Courte Oreilles Chippewa Reservation, whose Ojibwa population Dave is a member of. 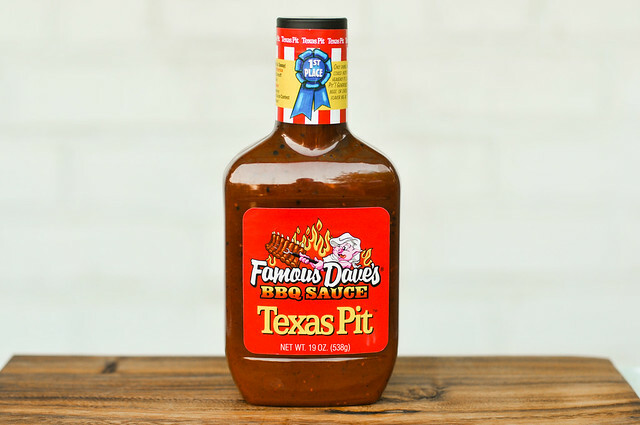 Since opening, Famous Dave's has gone on to win over 200 awards, including "Best BBQ Sauce in America" given by the American Royal Barbecue Contest. The aroma of this sauce still confounds me while I sit here and try to describe the smell. Thinking some of those unnatural ingredients are at work, there isn't much I can put my finger on as distinct. There's definitely some tomato sweetness and sharp vinegar in play, but they're a little off, like a whacked out ketchup. Not wholly appetizing or off-putting, it's just is what it is, which is something I can't quite figure it. This sauce has a medium to slightly thin thickness that's easily pourable. Although opaque, there are visible specks of spices, mainly dark flakes of coarse black pepper. With the spices comes some tongue feel—a little graininess with the larger spices completely discernible. At first taste you're hit by a wall of vinegar. That sharpness stays while a heat packs a second strong punch after the sauce has left the tongue. Black pepper is a strong flavor component here, and those large pepper specks definitely stick around and play it up. Despite those strong, clearly identifiable elements, there is still something off about this sauce. As with the smell, there's a strong sense of a heavy processing that doesn't taste like anything natural. After cooked, the sauce delivers a big blow of spice, but it's not enough to hide those off notes. The graininess is enhanced and starts to feel a little unpleasant. 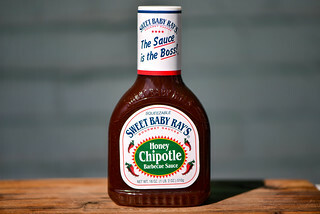 Although high fructose corn syrup is the second ingredient listed, the sauce did not caramelize and char much over the heat, which accounts for the flavor profile not being altered to much after cooking. Being labeled as "Texas Pit" is an odd thing. Making trips down to Texas 3-4 times a year, I eat a lot of Texas 'cue, and the rich, deep flavors of barbecued brisket and spicy links leaves no need for sauce. Those sauces that do adorn TX tables tend to be thinner tomato sauces that are never overly sweet and don't overdo the spice. This sauce does seem to start on that foundation, but the layers of one strong flavor after another would work against all the natural goodness of beef. 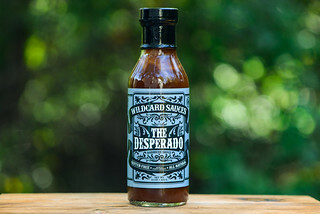 In a real pinch, I could see using it as a dip for some grilled or barbecued beef, but only if the meat wasn't that great to begin with and my standards for sauce dropped a few degrees, which isn't going to happen. Agreed - a lot of Famous Dave's sauces taste like a chemistry experiment. Too much HFCS and other things you can't pronounce. Too bad, because I like Dave Anderson, he has an excellent pit master, and they do produce some tasty bbq at competitions - just not in their restaurants. Given my aversion to chain restaurants I've never tried any Famous Dave's products. Based on your other sauce reviews I'll take your word on this one and skip it. My son cooked up some ribs using Texas Pit and they were outstanding! 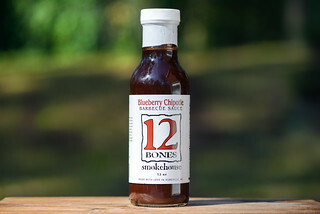 The sauce has a sharp bite to it, but not too much--maybe from being slathered on the ribs over a 45-minute cooking time. 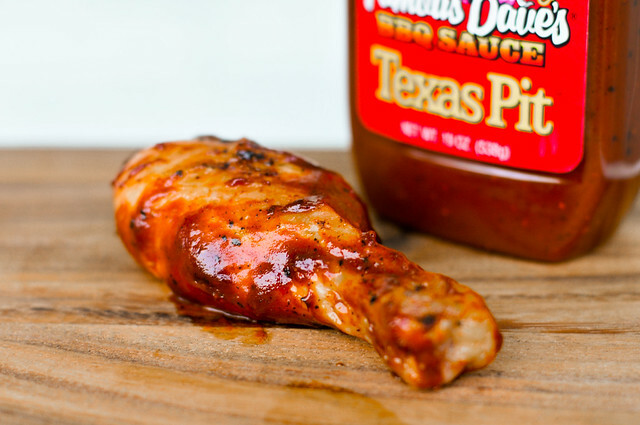 I'd recommend this barbecue sauce and would give it an 8 or 9 out of 10. But then, maybe it was just the ribs? This is my favorite sauce, just googled to see if I can find it cheaper online and found this review. I felt obligated to comment; please give it a try it is really good. Josh, I enjoyed hearing your opinion on this sauce. Funny thing is, I really like this sauce. It's one of my favorites.